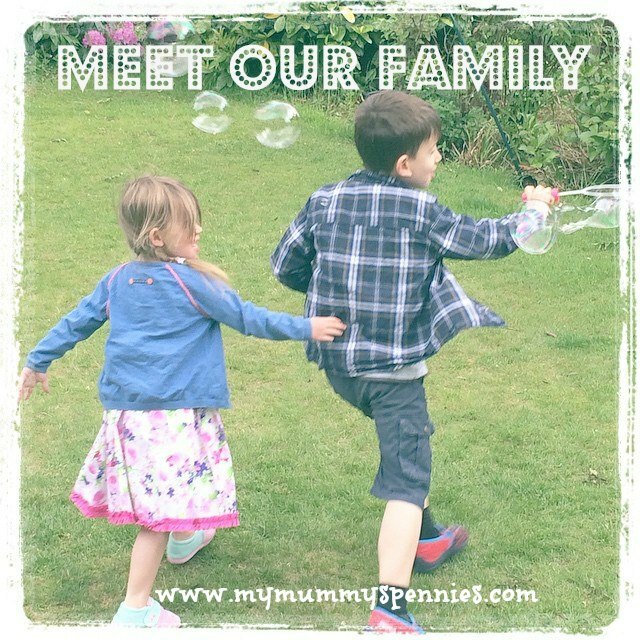 Last Sunday the children and I set off for a day out at the Museum of Science and Industry in Manchester to meet up with some other lovely bloggers and their families for the 2nd official Blogs up North meet up. I've lived and worked in Manchester for over eight years now and visited MOSI many times for a variety of occasions from family days out to a work's Christmas Party in the Power Hall and was looking forward to my latest visit. 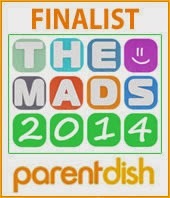 As a fun family day out it is hard to beat! There are a wide variety of different areas with so much to do for all ages! And although the entertainment factor is comparable to places that charge upwards of £20, at MOSI there is no compulsory entrance fee, just a suggested donation of £3 which is well worth it for a family day out that is both fun and educational! And it's really accessible by car or on public transport. If you fancy feeding your brood while you are visiting you can either bring a picnic to enjoy in the Air & Space Hall or enjoy the freshly cooked daily specials in the restaurant or Coffee shop. After some tasty refreshments and an introduction from the lovely staff we ventured down to the Power Hall to watch Engineer Eric and Forgetful Fred present an entertaining and child friendly talk, explaining the workings of a steam engine in a way that really held the children's attention, especially my 5 year old Ben, who was entranced. The Power Hall is filled with amazing examples of working engines and locomotives that Ben loved exploring and he could have spent hours in there but Elizabeth had spotted the steam train outside so we queued up to take a ride on that, and despite Ben having a bit of a sulk at first that we had left the big room of engines and machinery, they both loved it and I really enjoyed seeing the city that I know so well in a different way. There was so much choice as to what to do next, from Rocket Launching in the Power Hall, visiting the 4D Theatre (ages 4+) or exploring the many galleries that MOSI has to offer but I let Ben lead and of course we ended up at Experiment! the interactive gallery that gives children of all ages the opportunity to get hands on and find out for themselves how things work, from magnetism to solar power, liquids and lights and sounds. Even though we have visited many times both Ben and Elizabeth ran around playing with all the experiments as if it was the first time seeing them. 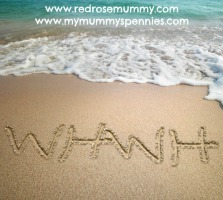 It was lovely to see the expressions of awe on their faces as they watched the outcome of their actions. We ended up spending most of the afternoon in here and after a quick play in the under fives area they were all played out and we decided to head home. I felt like we had barely touched the surface and there was so much more we wanted to do, but that just gives us the excuse to return again very soon! I think I'll look to time our next visit to coincide with the monthly Experitots sessions (next one on 22nd March) which are activity sessions specifically aimed at under 5's including crafts, puppets and storytelling to help toddlers get the most out of the Experiment gallery. Find out more about these sessions and everything else that MOSI has to offer on their website www.mosi.org.uk. 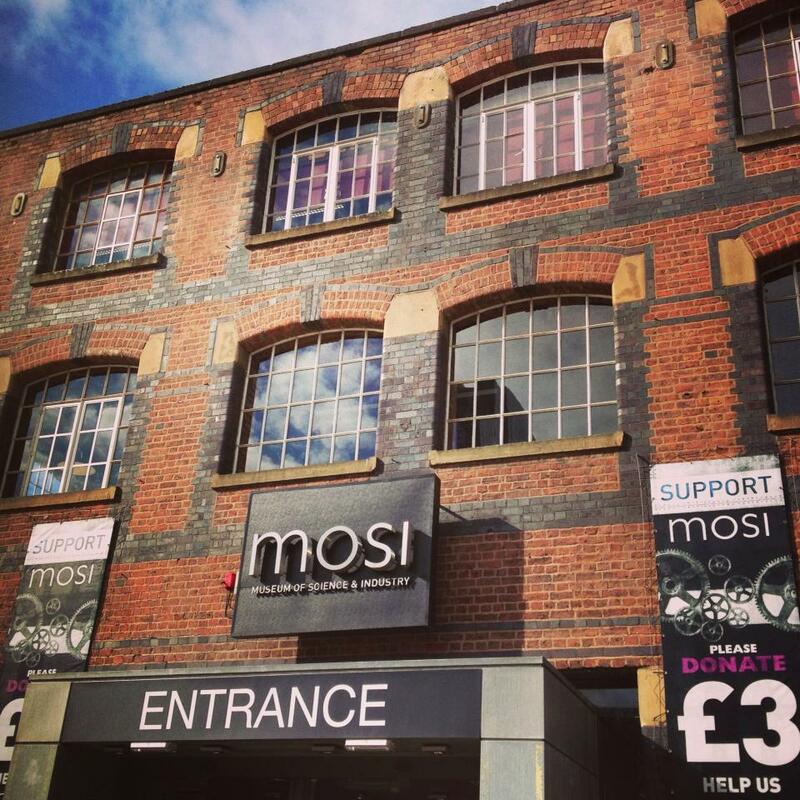 You can also keep up to date with MOSI news and events on Twitter and Facebook. Disclaimer: As attendees of the Blogs up North meet up we were treated to refreshments and a complimentary ride on the stream train but but all opinions are our own..
Great post, it was a fab day, wasn't it? Oh what great photos! 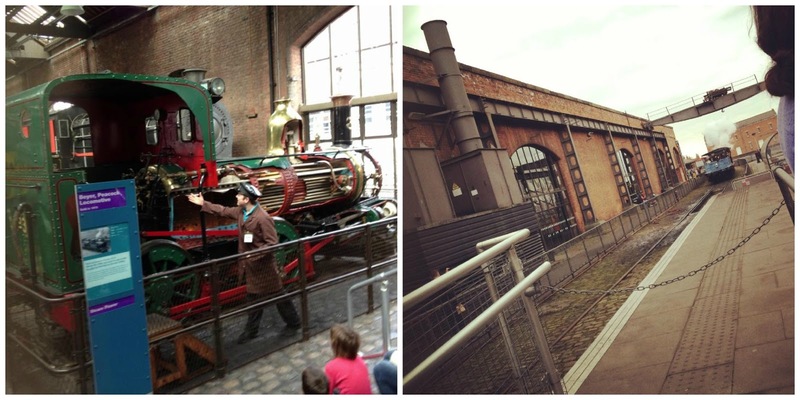 I love MOSI and was so gutted not to be there! Will you be at the next event?